Our series ‘Young and Inspiring’ showcases fresh, exciting new talent powerhouses from the design, fashion and event domains who specialize in creating dream weddings for couples. Bhavnesh Sawhney and Farid Khan of Wedniksha are entrepreneurs with their fingers on the pulse of everything that falls within the realm of wedding planning. The two come from distinctly different backgrounds but have created a team that is driven, creative and resourceful, as well as a company that has become synonymous with excellence and perfection. Bhavnesh hails from the field of jewellery designing where for many years he dealt with many international celebrities. 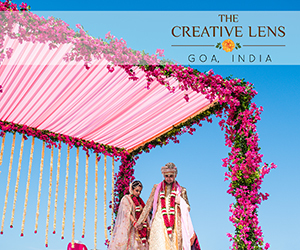 His sense of creativity and aesthetics enables him to bring to the table lots of unique wedding themes and services. Farid, on the other hand, has been associated with Wizcraft – India’s leading event planning and execution company – for over 14 years. 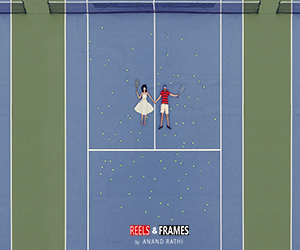 He conceptualized and executed prestigious national and international events like the Commonwealth Games, IIFA Awards, the South African Of The Year Awards, to name a few. 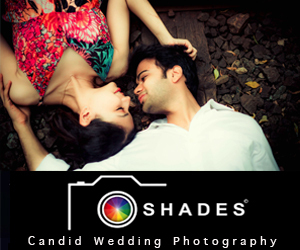 Together their partnership has been an immensely creative and impactful one in the weddings industry. Here, they share what went into their success stories and insights that go into creating that perfect wedding. Tell us about your initiation into the industry and how you realized that wedding planning was your calling? What’s the one thing every bride and groom should do before they start planning their wedding? Farid: “While weddings are a time to celebrate and enjoy, all the festivities can get chaotic in a matter of minutes if proper pre-planning on various aspects is not done. It’s important to have clarity of thought and a fair understanding of budgets to ensure one does not go overboard and has the best options that are well within their reach. Be it the destination of the wedding, hospitality or entertainment, there is no dearth of choices available to fit every budget; but clarity is a must. Also, hiring a wedding planner is always a good idea so that everything is synchronized and the events flow smoothly without you having to intervene. 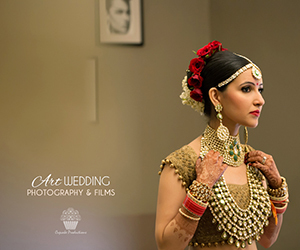 A wedding planner helps to ideate and prioritize rightly and makes sure that minute details are taken care of. As an A-lister, Sonam Kapoor’s life is under constant media speculation and scrutiny. While planning a wedding for a celebrity like her, how difficult was it to keep all the details under wraps? Besides Sonam’s wedding, the other nuptials that you planned which garnered a lot of attention was Adel Sajan’s cruise wedding. What were some of the most memorable moments from those celebrations? What separates both of you and Wedniksha from competition? As an expert in the industry, what does the industry look like five years from now to you? What is your favorite aspect of wedding planning and why? 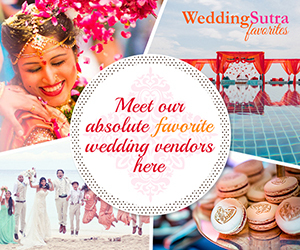 To book Wedniksha to plan your dream wedding click here. This entry was posted on Friday, October 12th, 2018 at 2:14 pm	and is filed under Wedding Planning, Young and Inspiring. You can follow any responses to this entry through the RSS 2.0 feed. Both comments and pings are currently closed.